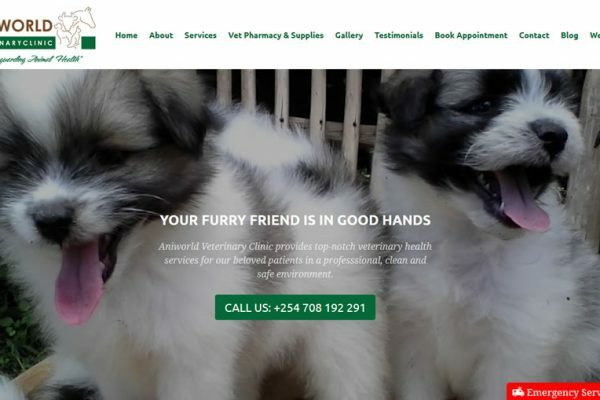 Aniworld Veterinary Clinic is a mixed veterinary practice set up located in Kisumu, dealing in veterinary services and health products to companion and farm animal owners. 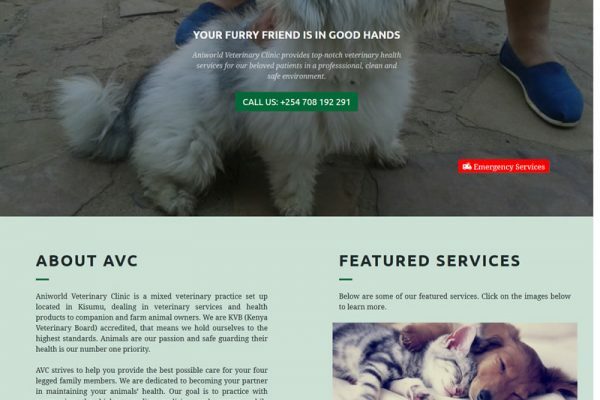 They are a KVB (Kenya Veterinary Board) accredited clinic, meaning they adhere to the highest standards. At Aniworld animals are their number on priority. The Aniworld team are a reminder to why we wake up everyday sip our coffee and get to coding. The passion they have for their work is similar to the passion we have for each and every project, we at SNETTSCOM handle. Aniworld needed an online presence and a way to automate their business processes and leverage the strength of online technologies to market their products and services. The SNETTSCOM Team put on their creative and product development hats, and came up with two systems in addition to the website: a Veterinary Management System and a Custom Point of Sale System for their Veterinary Pharmacy. The Aniworld Website was built on the latest technologies offered by the most reliable CMS (Content Management System) WordPress with additional custom plugins for added functionality like appointment booking, working hours and the widget to display their emergency contacts. Being that it was built on WordPress, the Aniworld website has a blog where they post useful content on how to care for your pets propecia 1mg prix. Aniworld also runs on SNETTSCOM Hosting Technology, which guarantees a 99.9% Uptime, CDN, Backups and 24-7 Support.